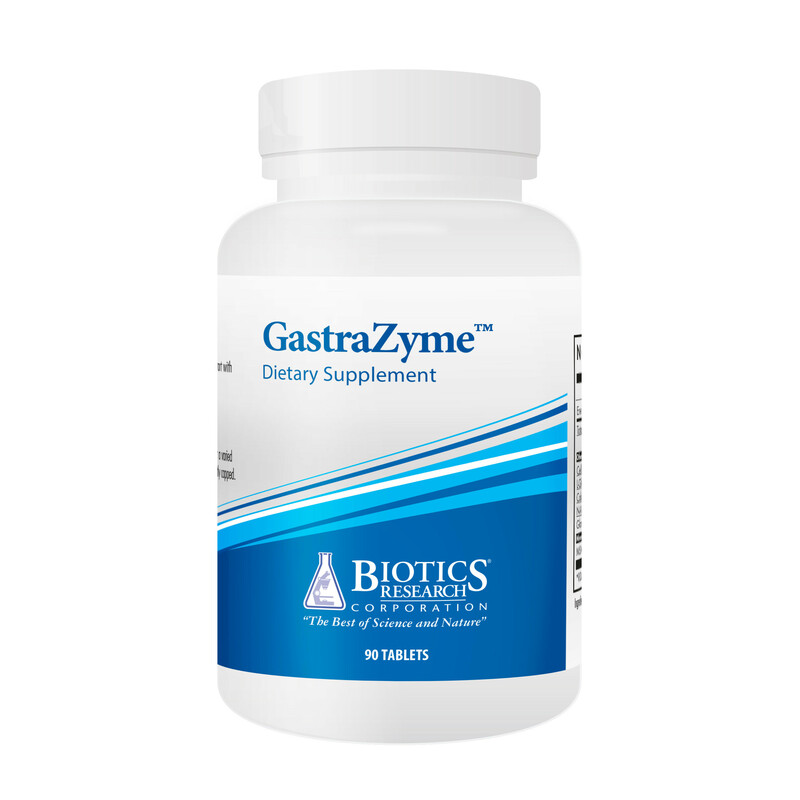 Gastrazyme supplies specific nutrients, including vitamin U complex, chlorphyllins and Vitamin A.
Gastrazyme™ supplies specific nutrients, including Vitamin U complex from Cabbage juice (as DL-methionine methylsulfonium chloride). Mulberry leaves supply chlorophyllins and vitamin A is supplied as natural mixed carotenoids and palmitate. Gamma Oryzanol is not only derived from the far superior rice bran oil, but is combined in our proprietary tableting base which creates a synergistic antioxidant effect. The biologically active vegetable culture tableting base supplies superoxide dismutase and catalase which are important antioxidant enzymes. One (1) tablet three (3) times daily as a food supplement. Do not exceed the recommended daily dose. Not be used as a substitute for a varied diet. Ingredients: Microcrystalline Cellulose (E460), Gamma Oryzanol, Pisum sativum Organic Culture‡, Natural Mixed Carotenoids, Sodium Copper Chlorophyllin, Modified Cellulose Gum, Magnesium Stearate (E470b), Silica (E551), DL-Methionine Methylsulfonium Chloride, Vitamin A Palmitate, Lutein (E161b).